The Daniluk Corporation is a precision machine tool remanufacturer that has been in the machine tool remanufacturing business since 1982. Quality machine tool rebuilding, machine tool retrofits, machine tool remanufacturing and new machine design and manufacture are just a few of the services offered. Whether it is a machine tool rebuild, machine tool retrofit, machine tool remanufacture or a special designed machine we have the capability and experience to provide our customers with turn key solutions. 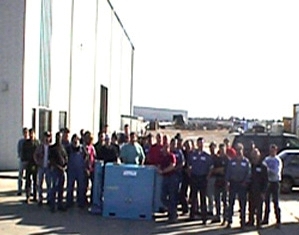 If you need one machine or an entire factory of machines we are in a position to provide them for you. Many of our turn key projects include fixture design and build along with machine tool programs for all the parts that will be manufactured. 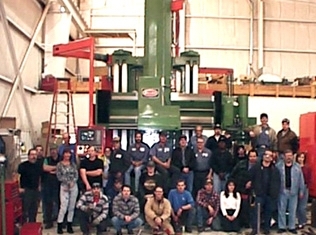 Since starting rebuilding machine tools in 1982, the Daniluk Corporation has made Customer Satisfaction one of its top priorities. It's very simple - treat people the way you would like to be treated and they will keep coming back. Copyright © 1998 The Daniluk Corporation. All Rights Reserved.